Crazy Under Crisis: Happy Sane Easter Everyone. Surviving Easter for me will require lots of fun, interesting outdoor energetic activities. 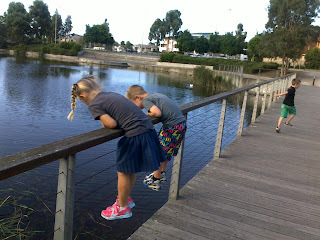 Surprisingly for Sydney the paths are lined with thick nature corridor's not the thin one's you usually see, which harbour there own Eco system of wildlife, lizards, beetles, bugs and slugs, all the things my kids just love. I love taking the kids for a ride on there bikes and setting a list of things we need to find before we come home, different leaves, gum nuts, flowers, or common bugs, hours of entertainment. 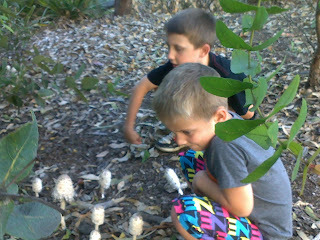 The boys got a lesson on mushrooms this week and why we don't eat or touch one's we don't find in the store.